Happy Friday Friends! Looking forward for a nice relaxing weekend? Sure hope so! As for me, I have a lot of work ahead of me.. My sweet mom is flying over from Cali and I haven’t even started getting things ready for her arrival!! I haven’t seen her in over 9 months and as you can imagine I miss her terribly. My roots miss her too! She’s not only my mom.. she is also my hair stylist. I am so thankful the ombre hair is still so hot, even though I’m not a fan of it.. total hypocrite, I know. 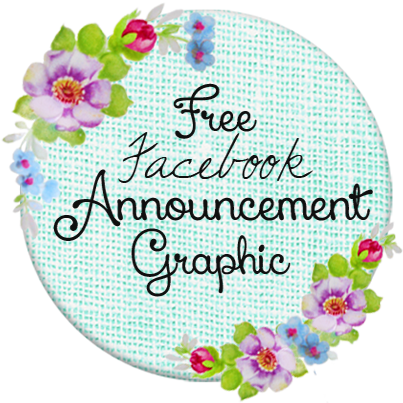 Nuff about my hair woes.. What do you think of these gorgeous floral facebook freebies? Pretty huh?! I just love these purple flowers! I know fall is just around the corner and these are no way near fall colors, but hey.. the colors make me happy and I hope the bring some sunshine and smiles to you too today! To download the free Facebook timeline cover just click and save. To download the circle image click here! For I am not ashamed of the gospel of Christ: for it is the power of God unto salvation to every one that believeth..
Have a wonderful time with your Mom!!! Thanks for this beauty and CONGRATS! Omgoodness, adorable! You make the cutest stuff. Hey guess what, my mom is a hairdresser too! :o) I’m so excited you get to see your mom again. Part of the reason why I chose to stick around here this fall is because of my mommyy.. xoxo love you oodles Keren! YAY!!!! Mom is coming! You guys are going to have such a wonderful time!!!! Could not be happier for you! As always…you have given us another gorgeous creation…you are just too sweet and kinds! Love to you all and HAVE FUN!!!!!! Very pretty image for Facebook. Now how do I use it? How do I get it as my facebook cover? Have no clue whatsoever, duh? I see these often but have no idea what to do with it. Thanks so much for sharing this tho. love all the free printables. thank you so much. love the color combinations! how i wish I could also do that. God Bless and stay well! !